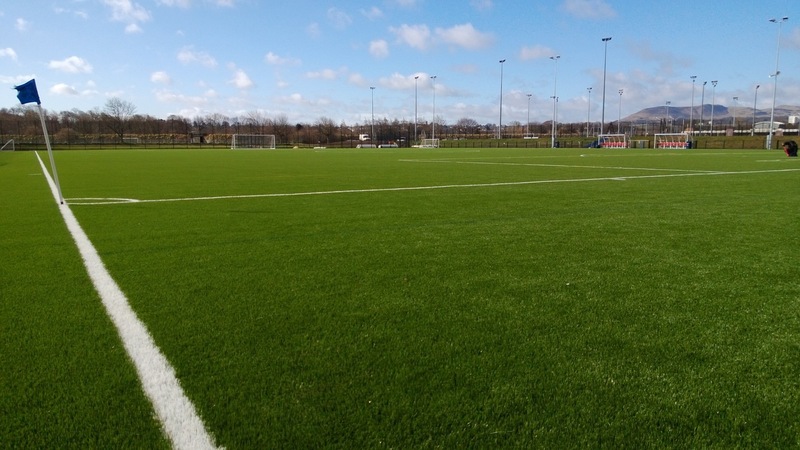 The University of Edinburgh at last has its 3G pitch it has so long needed at Peffermill Playing Fields. A longterm centre of excellence for hockey the new facility a wopping 10,000m2 + of high tech XP Pro 60mm artificial turf is truly a asset for this site. Work started on the plans for this two years ago with the original concept being a full size football pitch. 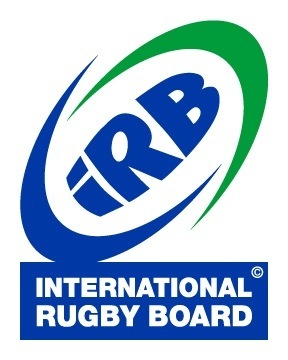 However in a move which will open up the pitch to accommodate a more multi-sports approach the size pitch footprint was increased to accomodate rugby and perhaps a nine a side shinty a fantastic prospect for the site. Thanks to Sportscotland - cash back and the City of Edinburgh Council this facility was located at Peffermill. The feedback on what is an excellent facility has been very positive. Jim Aitken Director of Sports always the champion of excellence in sport at the University was instrumental in bringing this facility fruition. It is thanks to his vision that the Peffermill site is now a unique international standard venue in the heart of Edinburgh. 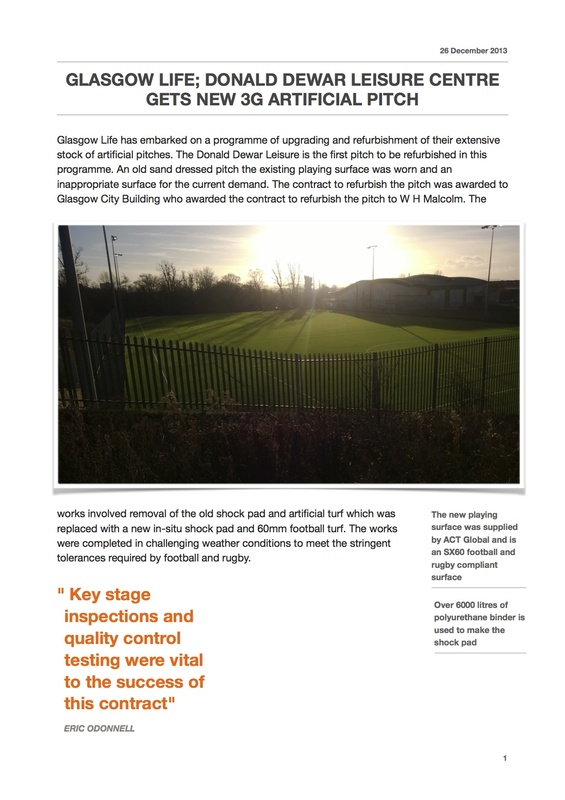 The project was constructed by Greenfields a one of the premier specialist pitch contractors in Scotland. Tommy Angus acting as Project Manager for The University ensured that the project was delivered to the the requirements of Sportscotland, The City of Edinburgh and a onerous specification against what was the wettest summers in Scotland for 60 years. 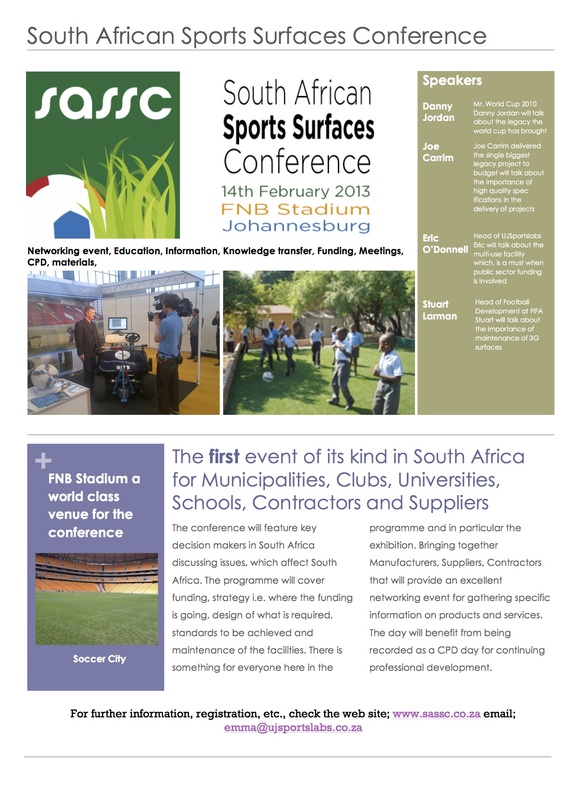 Sports Labs were the specialist pitch consultants for this project. The project also involved converting redundant tennis courts into a five-a-side facility. 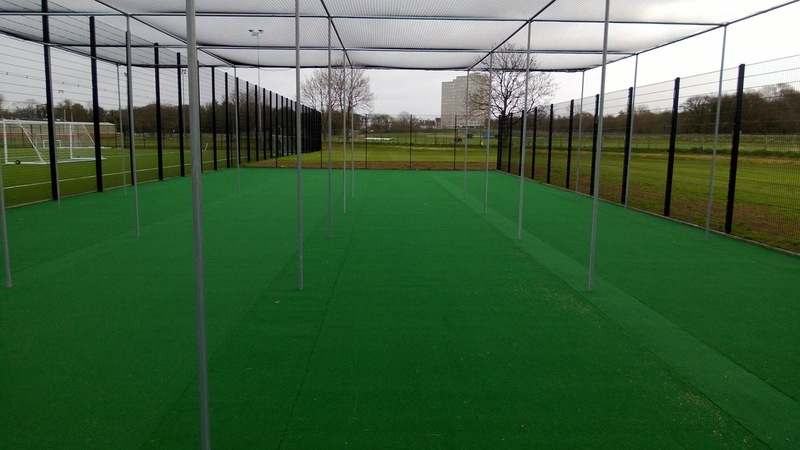 Here the 'unusual' polymeric tennis courts provided a perfect shock pad for the five-a-side conversion. Once the tennis posts were grubbed out and repairs were carried out to the soon to be shock pad the base was ready to receive the new surface. 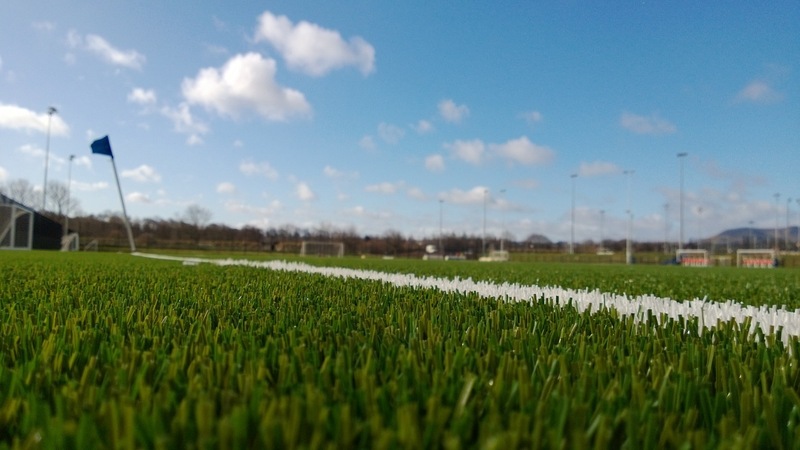 The existing pad provided an opportunity to provide a durable 40mm pile height texturised artificial turf which in a five-a-side format means we have built in durability. 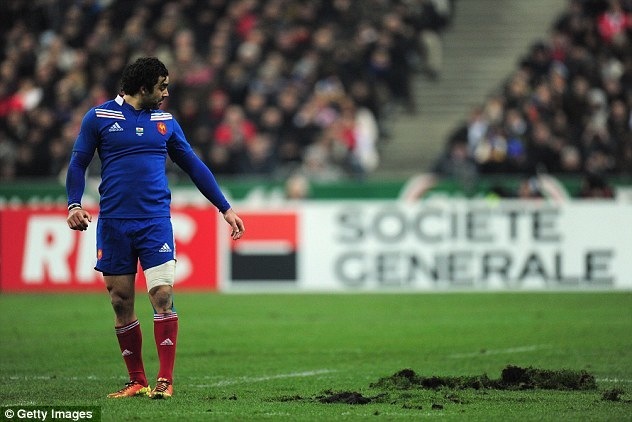 One feature which is somewhat unusual about these pitches is that the dividing fencing is demountable [challenging to say the least]. The 'other' facility just to complete the project is the installation of 4 no. artificial cricket wickets affectionally know as non turf cricket wickets? These cater for an established cricket community using Peffermill and will replace the old tired wickets which are now in a bad state of repair.